The children create never-before-seen animals for a "Zany Zoo." For all ages. Plan 1 to 2 sessions. Recognizing the unique characteristics which define an animal. Working with details and patterns. Set out the pencils, markers, and drawing paper. Have the watercolor markers ready, but put aside until the drawings are completed. 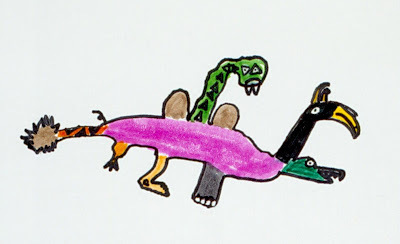 Explain to the children that, by combining the parts of three or more animals, they will be creating one-of-a-kind, never-before-seen animals. Ask them to imagine an animal with, for example, an alligator's head, a tiger's body, and chicken's legs; or a flying cow with bird's wings and an elephant's ears. Discuss the unique characteristics which identify an animal, such as a squirrel's tail, a giraffe's neck, and a camel's hump. Emphasize the importance of patterns or designs, when identifying animals with similar body shapes, such as leopards and tigers which are immediately recognized by their spots or stripes. Have the children each draw one large animal by combining the parts of three or more animals. 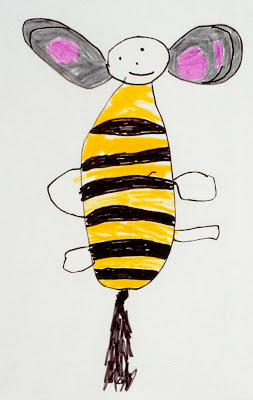 Older children appreciate drawing with pencils first and then going over their lines with the black markers. 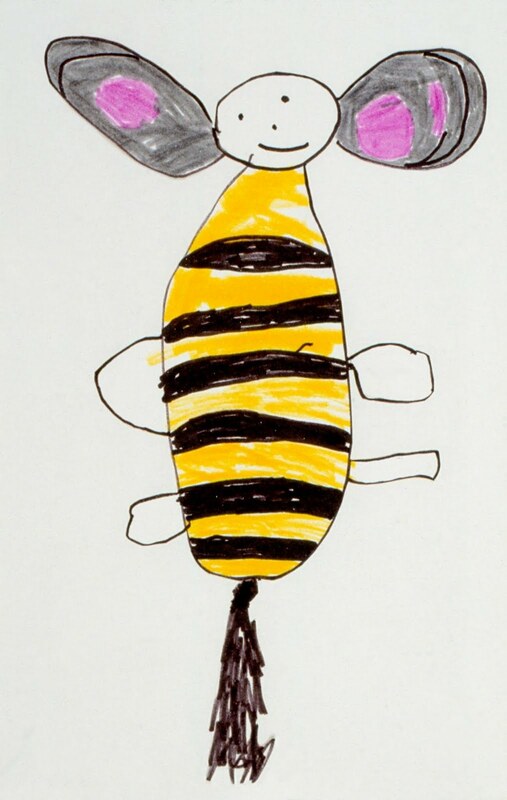 Younger children work best drawing directly with the black markers. 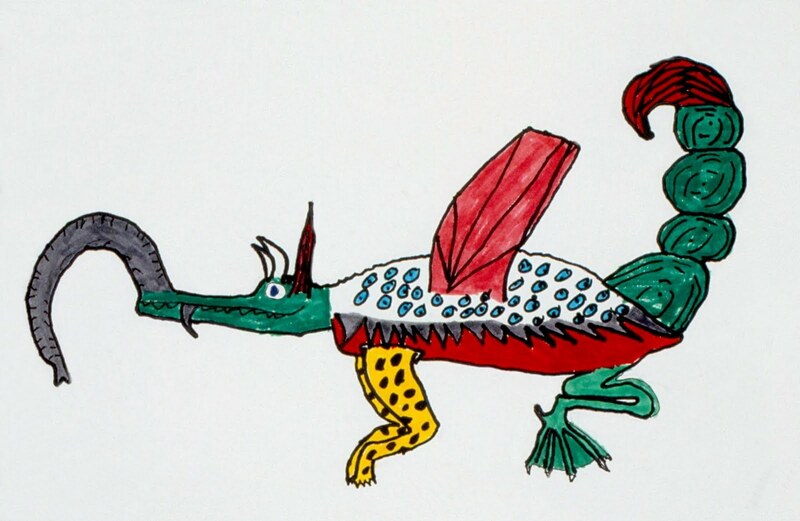 When the drawings are completed, have the children color their animals with watercolor markers. Since this project is most effective when the parts of the animals are easily recognizable, encourage the children to use realistic colors as seen in nature. 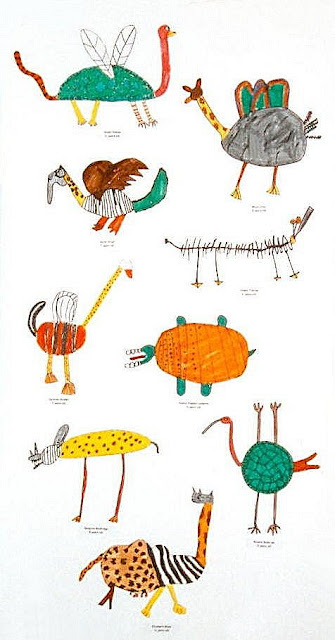 Have the children name their new species of animals by combining several sounds or syllables from the names of the animals used in the drawings, such as a "chelegator" (ch-ĕlĕ-gātor), which includes parts of a chicken, an elephant, and an alligator. The older children can work individually to name their animals, but plan this as a group activity with the younger children. Tongue twisters are fun, as long as the children are able to pronounce the names. It's helpful to prepare a list of the unique characteristics which define some animals to use when ideas run short. For a greater variety of even zanier animals, include insect and/or fish parts. Encourage the children to draw one large animal that fills their paper instead of several smaller ones. For the most impact, the animals need to be easily recognizable. Encourage the children to include lots of details and use realistic colors. Young children tend to fill in their work with the black markers, so be sure they understand that colored markers will be available when their drawings are completed. The lighter shades of watercolor markers work best because they won't cover up the black lines of the drawings. Ask the children to identify the different animal parts in the drawings. Discuss what information helps them to recognize these parts. Do I have to use three animals? Can I use ten animals? My animal has four legs and they are all different. Do I have to use gray for my elephant's legs? I wanted to stripe them like a tiger's legs. I've never seen animals like these before! The never-before-seen animals are more fun if you use at least three different animal parts. You can decide the number of different animal parts to use as long as you have included at least three. Be sure to draw and color the parts carefully, so we can have the fun of recognizing each one. It will be easier to recognize the different animal parts if you color them as they are in nature. 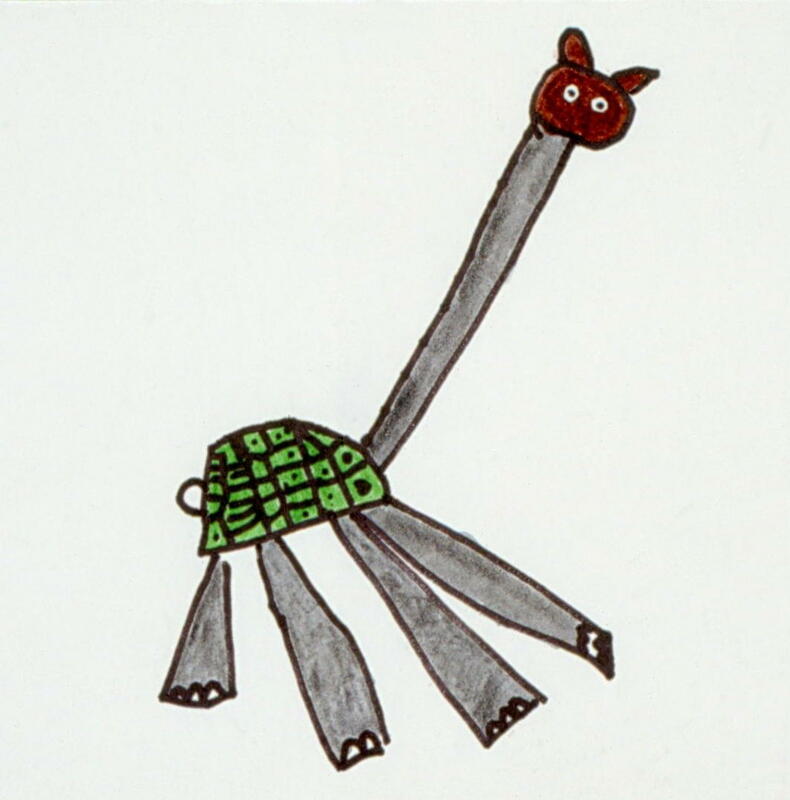 However, you as the artist can decide how to color your animal. If all these animals were in a zoo, it would surely be a Zany Zoo! Click to view this lesson in a printer-friendly format. What children know about art, grown artists are at pains to recapture. This is the joy of teaching art to children. It is also the great challenge. This website is for any adult — teachers, parents — looking for step-by-step guidance in how to instruct and develop, without overwhelming or dampening, the artist inside every child. 1) Instruct but do not do. Discuss a child's work. Demonstrate techniques. Share ideas. But do not touch the work itself. 2) Never start with a pre-cut shape. Never trace. Start from scratch. A child's circle will be more interesting than your own. 3) Quality materials and an organized, inviting workspace are an essential backdrop for creative chaos. Invest in good supplies and take time to set up. 4) Look. Look at the greats; no child is too young for art history. Look at the world; learning to make art is learning to see and find pleasure in details. Art education should begin young. Inhibition is the adversary, and it often creeps in by around seventh grade. Have fun with these projects and celebrate beautiful works with pride. I have taught art for over twenty-five years in public, private, and Montessori schools, both in the United States and Hong Kong. I have a degree in art education and my teaching experience spans pre-school children through eighth-grade. Please feel free to contact me at JulieNVoigt [at] gmail.com. All the artworks in the photographs were done by children from the Elementary Workshop Montessori School. Scroll over the pictures to see their titles and the ages of the artists. Click on the pictures to see a larger version. Credit for the photography goes to Madeline Polss, Leo Matkins, Bill Deering, and Carson Zullinger. I owe a great deal of gratitude to Lillian Shah, a long time director of the Elementary Workshop, for helping to make this project come to be. During my years of teaching, she was a tireless collaborator and a passionate supporter of art for children. I also thank my daughter Emily and my husband Henry for their encouragement, editing, and help in setting up my blog.